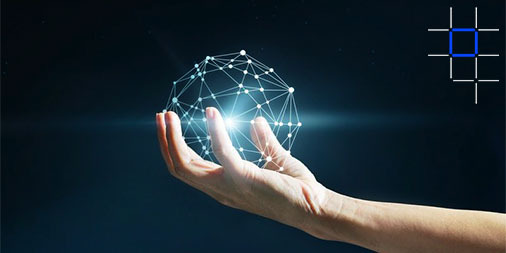 IoT (Internet Of Things) refers to the network of physical things like devices, vehicles, home appliances and other items that connect and communicate with each other to exchange data. This enables direct integration of the physical world into machines. Blockchain technology or Distributed Ledger Technology is described as “an incorruptible digital ledger of economic transactions that can record virtually everything of value,” by Don & Alex Tapscott, authors of the book Blockchain Revolution (2016). Blockchain IoT or BIoT is thus a culmination of both these technologies. Blockchain designed for applications involving transactions and interactions. These can include smart applications that support specific IoT processes. This way blockchain technology can improve compliance of IoT and make it cost-efficient. There has been a rapid advancement of both blockchain technology and IoT. Yet, security remains a top concern for the IoT ecosystem as it exposes multiple devices and huge amounts of data to security breaches. IoT devices often lack the authentication standards necessary to keep user data safe. Hackers can create a lot of damage by penetrating through the broad range of IoT devices. To prevent this, authentication and standardization of IoT elements are essential. Blockchain can track data measurements and prevent duplication of data. Deployments of IoT devices can be complex. Blockchain can provide IoT device identification, authentication, and seamless secure data transfer. Instead of going through a third party, IoT sensors can exchange data through a blockchain. A distributed ledger eliminates a single source of failure. This protects the IoT network and its data. 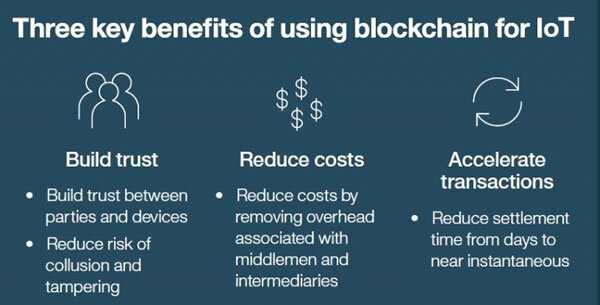 Blockchain removes technical bottlenecks and inefficiencies. This enables device autonomy, data integrity and supports peer to peer communication. Blockchain can help reduce the deployment and operation costs of IoT networks. IoT devices are directly addressable with blockchain. This provides a history of connected devices for troubleshooting purposes. Technology. IoT technologies need three main things to function well: scalability, security and predictability. Among these, security is the most important as it is the biggest risk today. Thus, we need to protect the IoT devices involved, the blockchain connecting them and the interfaces between the devices and the blockchain. Other issues to tackle include exception handling and confidentiality. Operational challenges. The currently proposed BIoT solutions do not have a clearcut business model. This leads to further speculation. Organisations will need to come together for standardization procedures and common data definitions. This will be a mammoth task in itself. Also, many people are ambivalent in their prospects of trust. Legal and compliance issues. Bennet then points out the legal issues, which could derail any promising project. She ponders over the legality of the scheme of things in BIoT: who is responsible for malfunction or theft or technical faults. Some programmers argue that the contract of these interfaces binds them to produce only the best of outcomes. But technical faultlines and regional drawbacks are not unheard of in major projects such as this. Look deeper into specific applications and industries: smart buildings, for instance. One of the main areas IoT can revolutionize is building management or building energy management. This can be done by leveraging solar or wind energy and microgrids for energy efficiency and facility optimization. The recording of autonomous, machine-to-machine transactions regarding electricity usage is a blockchain application. This application could use digital platforms for tracing transactions on the smart grid. This way IoT and Blockchain can help each other and make BIoT a successful endeavor. Energy is becoming increasingly digital, decentralized and IoT-enabled on various levels. One can easily imagine a scenario whereby excess renewable energy could be sold and bought via blockchain. In fact, it’s one of many examples that is given in the NIST report on blockchain technology, presented in early 2018. The report also mentions blockchain applications for the second point mentioned above. We have looked at all the problems meeting BIoT above and saw how intertwined they are. It’s easy to understand why so many blockchain & IoT projects are technical endeavors at this moment. But there are still debates about the pros and cons of BIoT. And how it can singlehandedly give rise to a new age of networking technology. BIoT solutions are well suited for simplifying business processes and achieving cost efficiencies.